Join the Status Trucks team today! 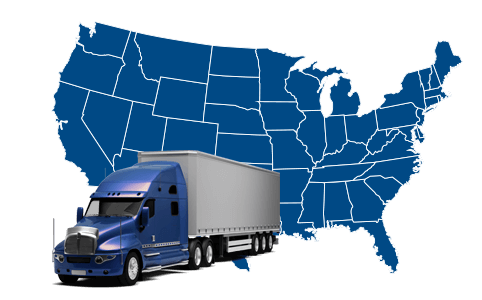 Status Transportation has loads available in all 48 states. We offer two options for our Owner Operator Jobs: OTR or Regional. Our regional areas consist of a minimum of 10 surrounding states to your home state. You can run more than that, however, you cannot run less. Over the road, drivers stay out at least 3 weeks at a time while regional drivers just have to run at least 5 days out of the week. You can bring any trailer or we will provide you with a dry-van or a flatbed. Enjoy long distance hauls, best rates and steady pay. Great employment opportunity! Shawn, a partner since 2015, shares his experience as being a place he “Really Likes”. Tag, PrePass, IFTA, Bonuses, etc. Walk-ins are always welcome at any of our hiring locations, our recruiters are ready to answer all your questions about our owner operator jobs, pay and leasing with Status Transportation. Visit us at our Orlando, FL or Atlanta, GA hiring locations. Independent drivers looking to succeed in the owner operator trucking business will find a strategic partner in Status Transportation. From years of experience and a continuous improvement process (CIP), we have systematically improved our practices in order to develop the highest paying owner operator jobs. Drivers are treated with the utmost respect. We respect you as a person, respect your time, and have respect for your business. We believe respect is a two-way road. That’s why whenever a dispatcher calls an owner operator to offer a load is because that is the best load available at the moment. Our focus is not just to cover the driver for the day, but to find and negotiate the best rates. Drivers have the option to reject loads because we are a non-forced dispatch company, but it’s through respect and trust that we can deliver on our promise to get owner operators the highest gross revenue. As one of the best owner operator trucking companies, Status Transportation strives to provide owner operators the best quality, value, and service. At Status, we believe that clear communication is crucial to develop and sustain a successful work relationship. Drivers can expect to be treated in a respectful and courteous manner in every interaction with our different departments. Owner operators hone their skills by continually working behind the wheel. In the same way, our dispatchers master their craft by spending countless hours in front of a screen and on the phone communicating with shippers, receivers, comparing rates, and routes. All this with the sole purpose of getting the highest paying loads and delivering the best service to each owner operator truck driver. Our dispatchers take the time to know their drivers individually. 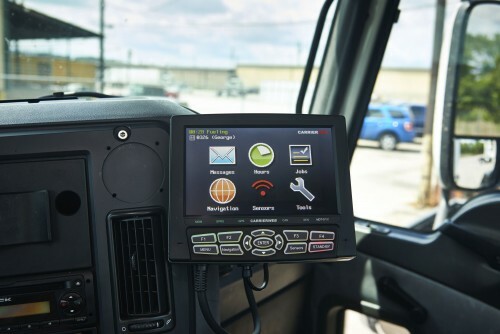 They learn how they like to run, but they also have their finger on the pulse of the trucking industry and know what’s best for the owner operator. The transportation market is constantly shifting and it’s through hands on experience that we have been able to recognize market cycles and what regions are paying the best rates at the moment. Dispatchers at Status Transportation are regularly collaborating with each other in order to find the best owner operator loads not only for their assigned drivers but also for their teams. As a result, drivers can expect great rates and a consistent owner operator pay. The Status Transportation system was built from the ground up with the purpose of streamlining our business workflow. Our in-house developed technology allows us to provide drivers a high-quality service and up-to-date information during every step of the pipeline process. Day to day operations from finding the best rates to the point when a load it’s paid to the driver, our in-house system expedites every step of the process, therefore enabling us to deliver the best service in owner operator trucking. We are a company that is completely committed to safety and we know being safe doesn’t happen by accident. Our safety department is not only there to help you to stay compliant with DOT rules and regulations, but also work full time to make sure safety is a habit and not just a requirement. We want you to be safe, so you can go back home safe.